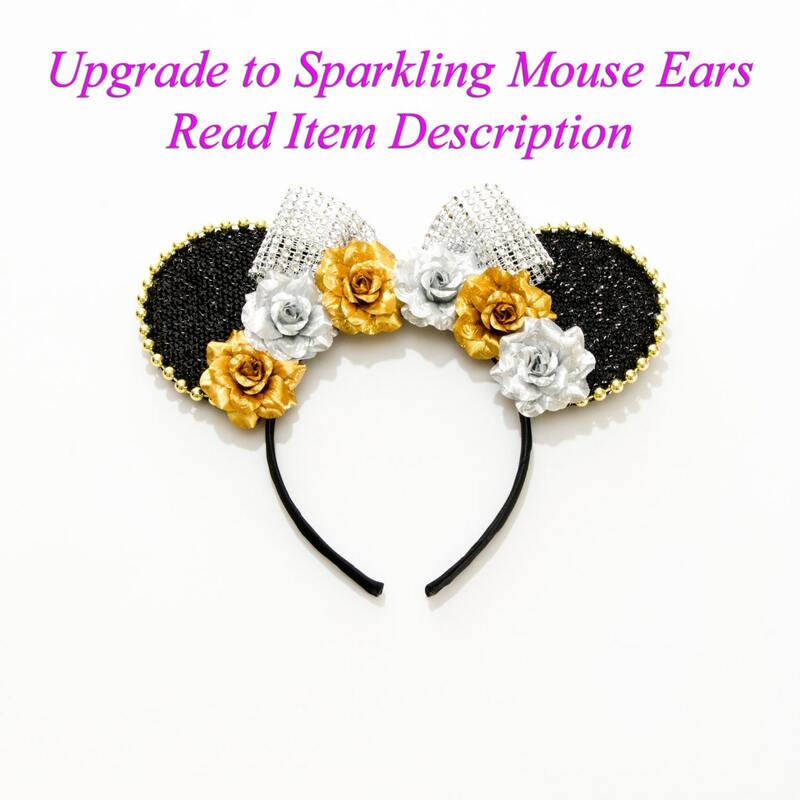 You will adore this Kitty Katrina Steamboat Willie Mouse Ears! 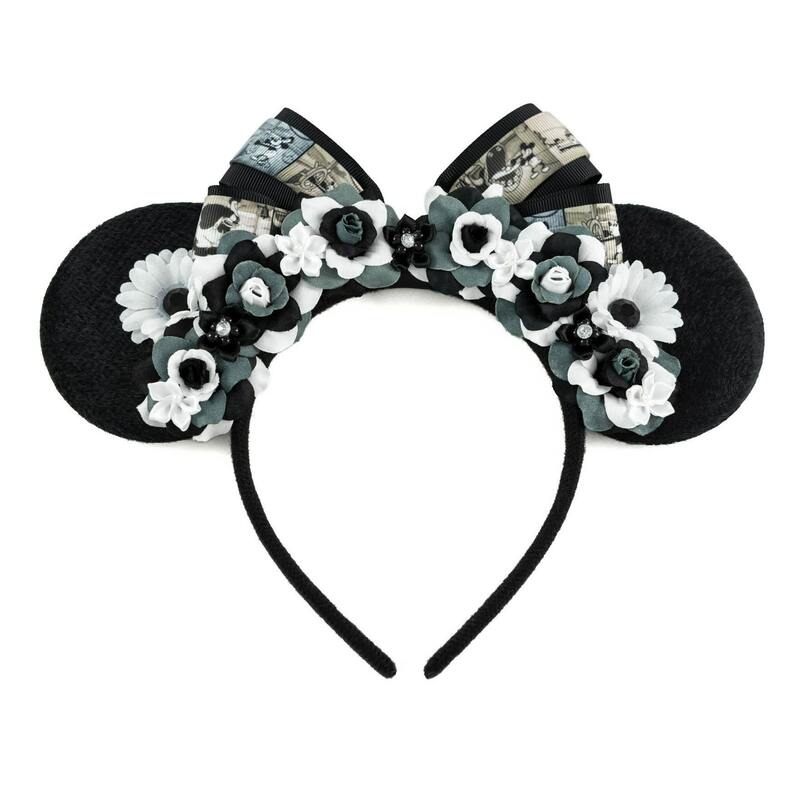 This beautiful headband features a handmade black bow overlaid with Steamboat Willie character detailed ribbon, along with black / white / gray silk roses decorated with miniature rhinestone / black satin flowers and white satin flowers, and two black rhinestone studded white daisies (see image). These ears are beautiful. Comfortable and the ears are the right distance apart. Just wore them at Disneyland and where very comfortable. Lovely design and fast shipment. 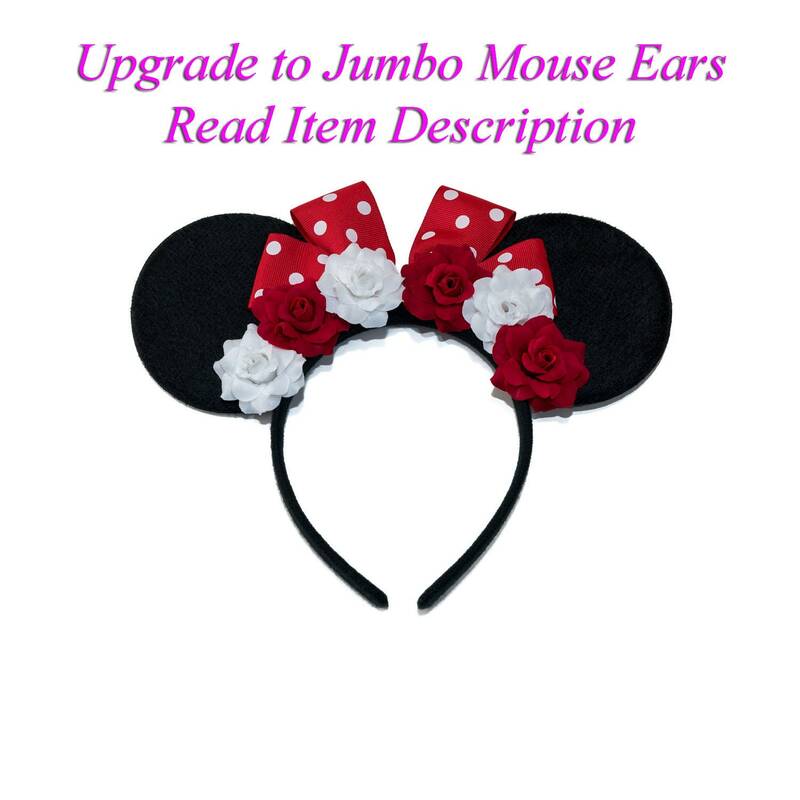 I LOVE my newest set of Minnie Ears. I added the glitter to the ears and I'm so glad I did. Can't wait to show them off on my next visit to WDW!!! THANK-YOU! !